Who dosesn’t know Uber, the Transport Network Company that is well-known in the Sharing Economy? The company is quite prominent in the peer-to-peer ridesharing, cab services, and food delivery among other services. The Uber services are magnificent in the way they impact the technologically-driven economy to the point that various sectors have started to call the changes in their industry as Uberisation. In the recent past, transport in many cities across the world was made easy owing to their cab sharing services that reduce the cost of traveling short distances. They also introduced bike services in various cities, which make use of the readily available motorbikes to ease the stress of traffic jams for the riders. All these developments have changed the way transport works within the cities where their services are available. Now you do not have to wait for a taxi cab to pull over for you to maneuver through the town to your destination. With the Uber JUMP electric bikes and scooters, you can easily access a ride with a tap on your Uber app. 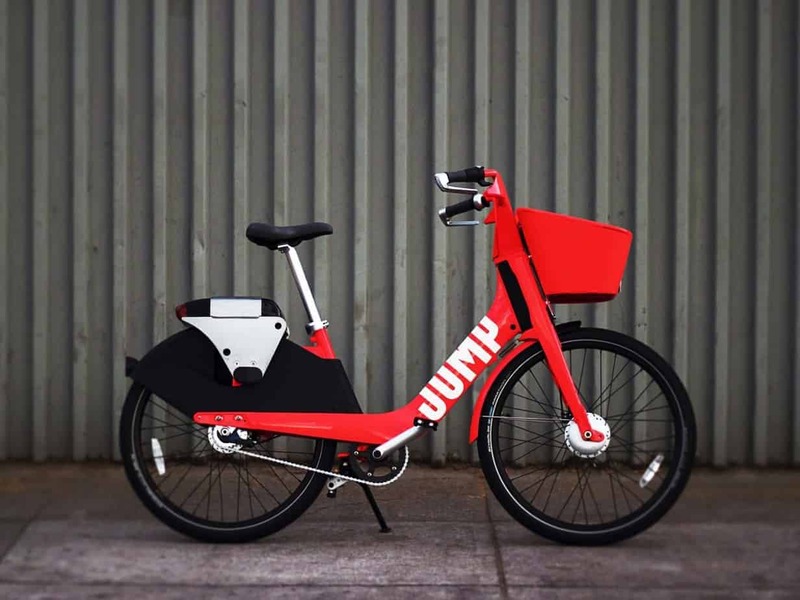 The JUMP branded bikes and scooters are available in select cities, and you can access them at their designated parking points. JUMP bikes are specially designed to offer you the hassle-free ride you need regardless of the topography of the given area. Pedal all the way in town, with the aid of the electric booster to help you move easily up the hills. The JUMP scooter, on the other hand, helps you to ride around the town by the use of electric energy. Your ride can go up to 15mph, subject to the speed limit in your area. To ride the scooter, you need to use your foot to kick the ground to gain momentum. Then you will need to engage the throttle to boost your speeds. It also has two braking systems. The one on the left hand allows you to slow down when riding down a steep while the rear brakes help you to come to an immediate stop. Traffic jams are a menace in many cities around the globe. Moving by shared taxi cabs can be a troublesome experience because you cannot dictate the street or road you can use to avoid the jams. You will have to be patient with the traffic flow, which, sometimes, lead to delayed deliveries or missed opportunities. In such a scenario, the electric scooter or bike will suffice your needs for a faster ride. By utilizing the bike lanes, you can keep moving without depending on the movement of the vehicles. Wherever there are no such lanes, these rides can still maneuver amidst the vehicles to save your time. Booking a JUMP bike or scooter is easy. If you can see one parked, walk to it and unlock it using the blue QR scanner on the Uber app on your phone. The scooter or bike will be available for you to use. If you, however, cannot see a scooter from where you are, you can book one on your device. Launch the Uber app, open the “Ride” option, and find a scooter available for use. Reserve and locate it on the map. Once you see it, go and scan the QR on the handlebars to unlock it. In the case of the electric bike, you need to find one near you on the Uber app. Once you find it, unlock the bike from your app. You will receive a PIN that you will use to grab it for your ride. The Uber JUMP bikes are electric bikes with pedals for acceleration. When riding the bike uphill, you will find it easy to move as you pedal with the help of the electric-powered motion. The scooters also use electric power to help you move faster up to 15 miles per hour. Once you have finished your trip, you can end it on the app and park the bike or scooter. You only pay for the time you spend with it. However, the prices for the ride vary depending on the city. In case you are outside the parking area, the Uber mobile app will inform you and direct you to the nearest parking. To get the best out of your ride, you need to meet the requirements and safety tips for riding scooters and bikes in your city. First of all, you need to follow all the traffic rules in your city, and only ride on the roads where bikes and scooters are allowed. Being fast rides, Uber’s JUMP scooters and bikes offer you convenient ways to move within the town. You, however, need to be sure that you do not pass the maximum allowed riding speed on any of the streets on which you ride. Uber will not be liable for any consequences that may arise from your careless riding. 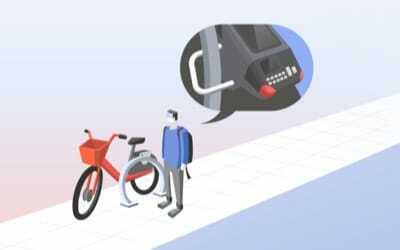 Ensure that you lock up the bike as soon as you are through with the ride. You will find the U-locks at different points within the parking area to secure the bike. If you forget to end your journey on time, you will incur costs for the extra time. Next articleThe best Smartwatches money can buy!